Mobile pioneer Palm's last product before it was acquired (and then smothered) by HP was a thin-client netbook called the Foleo. Designed to be paired with a Palm smartphone, the Foleo could do little on its own and didn't last long enough to live up to its potential. It was poorly received, and was soon canceled, but it survived long enough to inspire similar designs from Motorola, Asus, and other companies over the years. Now a couple new Foleo clones have been unveiled over the past few weeks. 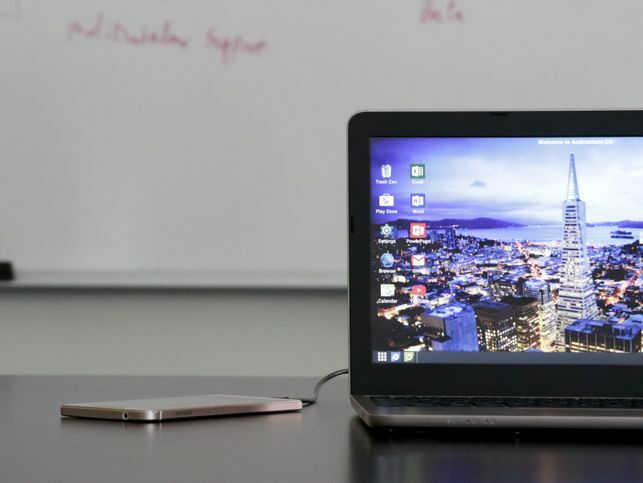 The Superbook and the NexDock come from different startups and target different platforms, but they are very similar products. Both are laptop-shaped devices with keyboards screens, and trackpads but no memory, storage, or CPU. They are designed to be a thin-client partner to a smartphone in much the same fashion as the Foleo. That's nifty, but it's not nearly as capable as the NexDock. Launched as an Indiegogo campaign earlier this month, the $149 NexDock has a 14" screen, 10Ah battery, 2 USB ports, and is intended to pair with any Windows smartphone and use Microsoft's continuum feature so that the smartphone can act as the brains of the NexDock. Those are a couple of impressive looking demos, but it's worth remembering that these aren't products so much as promises. As a rule, crowd-funded products don't live up to all of their promises, so rather than wait for either of these products you should consider what you can buy now that will fill the same need. And that's an easy question, with a quick answer. Why spend $100 to get one of the devices shown above when you can spend $150 to get a much more capable Chromebook which is an entire computer in and of its own right? With a Chromebook sitting next to your smartphone you have two computers working for you, not one. You can get twice as much done, and not have to worry about any pesky cables (not unless you want to). Frankly, both the Superbook and the NexDockhave the exact same flaw as the Foleo. All three devices had/have to contend with netbooks that cost about the same and yet are much more capable. So why would you get one? I don't know, but companies keep releasing them, so someone must be buying them. Think about it: what part of a PC ages fastest and which ages the slowest? A NexDock + stick PC is effectively a modular, upgradable laptop. And the price premium for the upgradeability is nowhere near as high a combo with a phone. There might be a (modest) market for the thing. Yes, but in that case I would rather have an internal slot for the PC stick where it could be permanently mounted, because if you were constantly inserting and removing it from the HDMI port you would wear out the connector quickly. The good news is, the nexDock has the room to spare. Yeah, a slot would be ideal. As would a stardard spec for the stick casings. I doubt we’ll get the latter any time soon, though. Yes, indeed, and you’re right about the benefits of pairing a PC stick with a thin client.